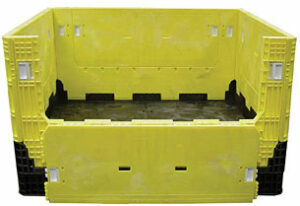 Categories: 48x40 Footprint, Bulk Containers, Collapsible. Our 48x40x29 reusable plastic collapsible bulk containers have found their niche in the packaging industry due to their ability to cube a 53’ trailer. 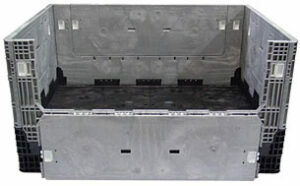 With a capacity of 2000lbs. 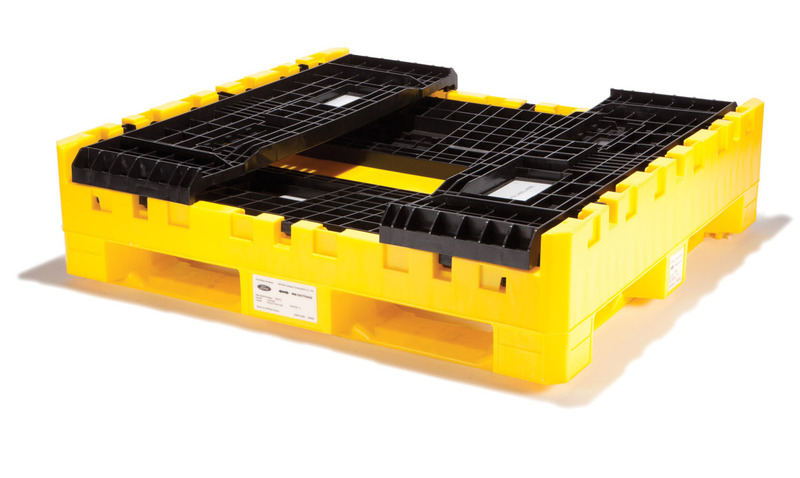 the 48x40x29 collapses down in seconds for optimized return logistics. 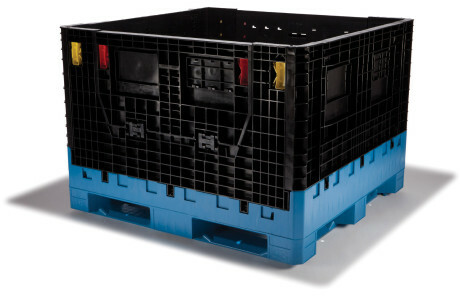 This container is four-way forkliftable and comes standard with drop doors on the long sidewalls.